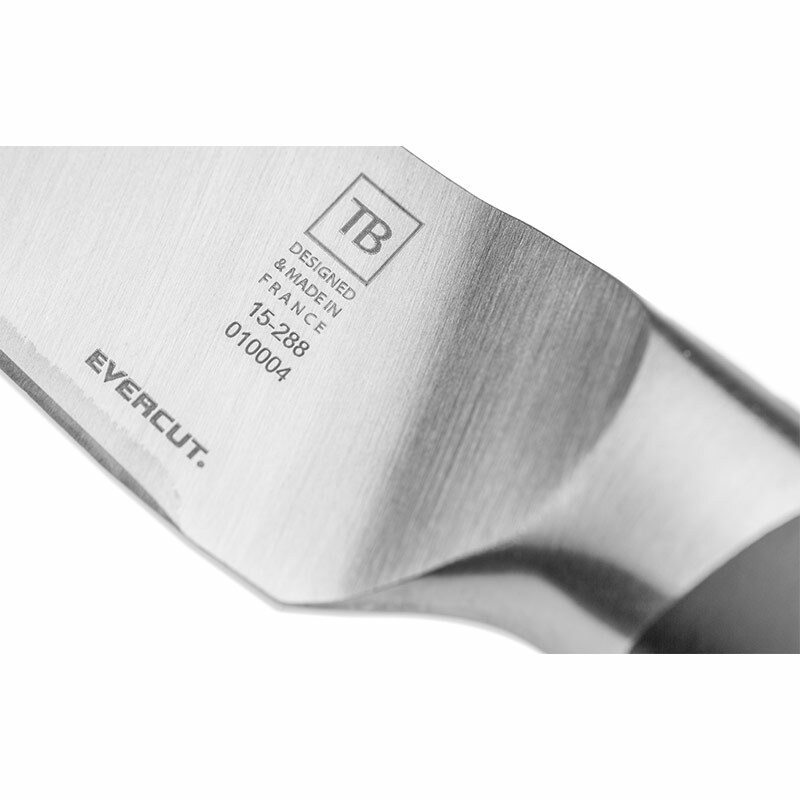 The manufacturing process of the Evercut® professional kitchen knife enables the making of high-end blades with impressive cutting power and longevity. This performance is the result of the fusion by laser of the metal and an ultra-hard material, titanium carbide onto the edge of the steel blade. 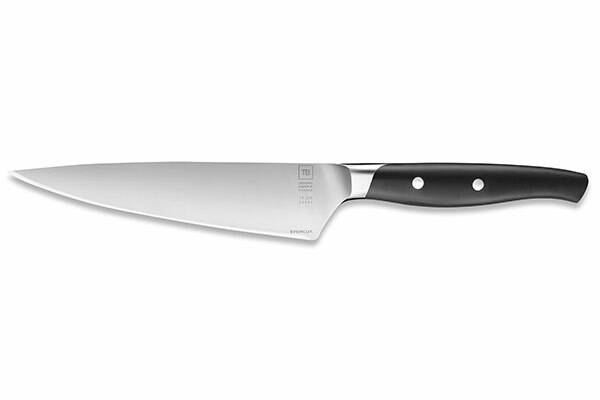 The titanium carbide is a very hard and abrasive material that offers to this Made In France kitchen knife an outstanding resistance and an unmatched sharp edge. 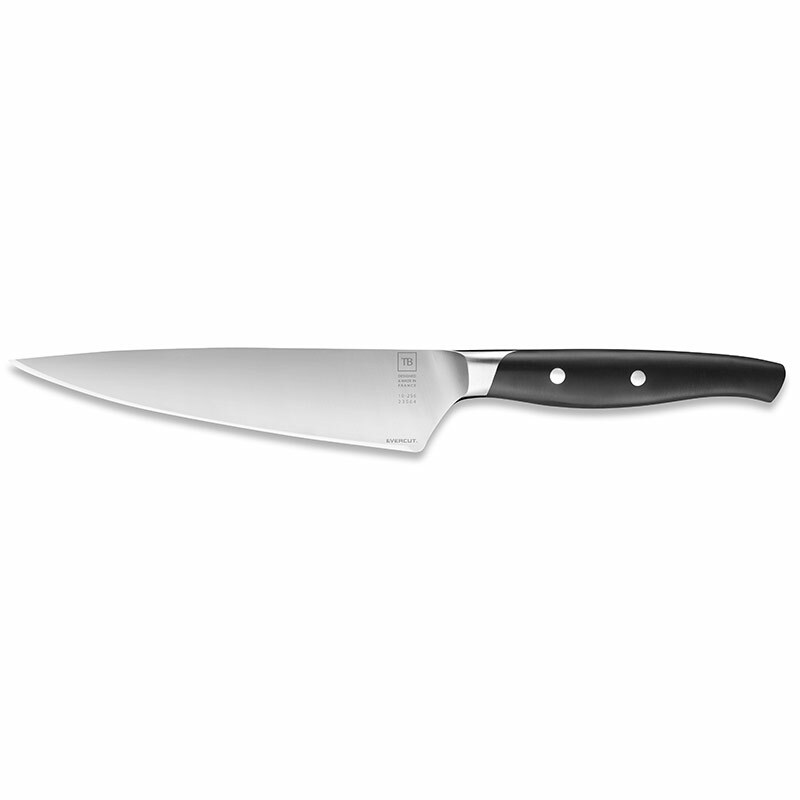 Made In France by the designers of cutler Tarrerias-Bonjean, the design of this Maestro Evercut® kitchen knife lives up to reputation of cutting performance. Its takes over the traditional methods of Forgé cutlery to reinterpret them with a more contemporary design. 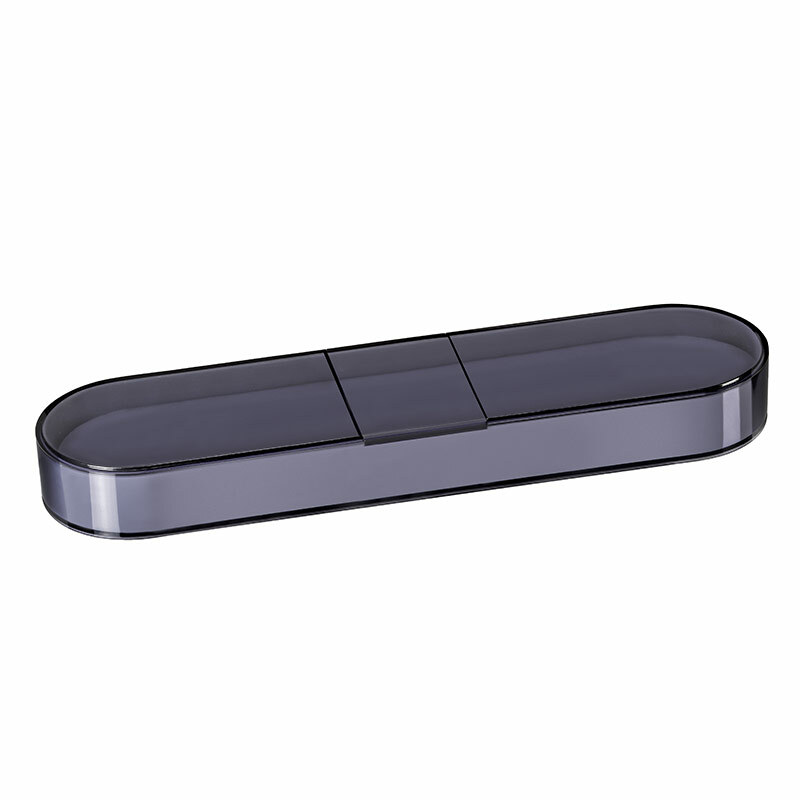 Made in polymer, its ergonomic handle is very easy to use and is also very solid. In addition, the blade of this Made In France Maestro Evercut® kitchen knife can also be personalised by laser engraving with an inscription up to 30 characters.